Aloo tikki potato pattie recipe is basically a North Indian recipe. It is now a popular dish all over India and is easy to make. Aloo tikki is used by itself as a snack and served with mint chutney. The word tikki means a cutlet or a croquette. 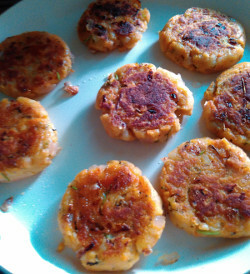 Aloo tikki is mostly round but you may also make it oblong or a heart shape if you like. Aloo tikki or potato patties is used as one of the main ingredients for making a chaat, as in ragada pattice or in aloo burger. 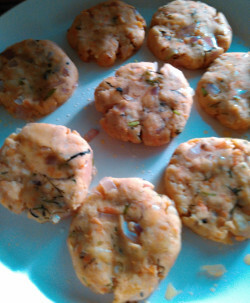 Aloo tikki can be served as a snack or appetizer or finger food at a party. Kids love it at all times. You can use the optional ingredients given below to make variations of aloo tikki. Green chili, finely chopped or paste - 1/2 tsp or according to taste. salt - 1/2 tsp or according to taste. You may add - Rice flour or bread crumbs or corn flour or besan (chickpea flour) or soaked poha (beaten rice) as binding the mix. Add just enough to make the mix less sticky and till it holds the shape. Adding too much binding flour will make the pattie hard. 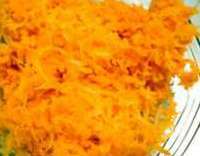 Today I am adding optional onions and grated carrots as you can see in the images below. When in season, I like to add shelled fresh green peas too. 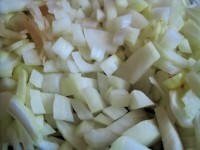 Add onion, fry till onions become transparent. 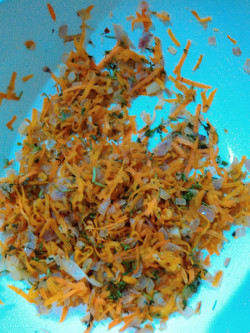 Add grated carrots if adding. Cook for 2-3 minutes. Add green chili, ginger, garlic, salt, coriander leaves. 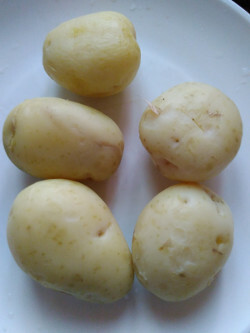 Mash the boiled and cooled potatoes. You may grate them or mash them, as you wish. 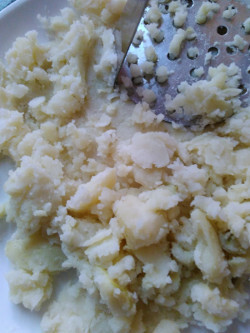 You do not need to mash too finely. 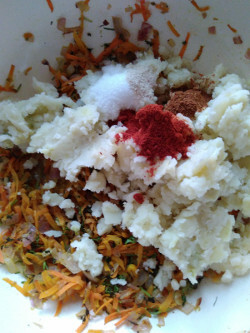 Add the mashed potatoes and the dry spices, red chili powder, coriander powder to the cooked carrot/onion mix. I am adding rice flour as binding. 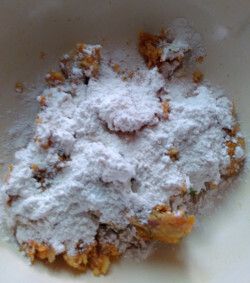 You may add rice flour or corn flour or bread crumbs or soaked poha (beaten rice) as binding. 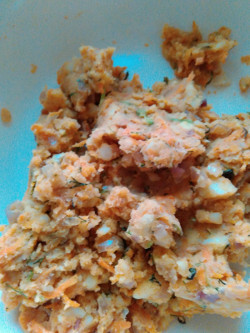 Mix everything well before shaping aloo tikki. If you wish, taste the mix and adjust salt, spice powders to your liking. Add more if necessary and mix well again. Shape the balls into flat patties as shown in the image. Heat a tava / girdle / skillet / fry pan. Add a little oil and place the flattened patties on it. You may place any number of patties depending on the size of your tava. Add a little oil around the patties and shallow fry them till the bottom is brown. Turn the patties and let the other side brown too as shown in the image below. Remove the patties from the pan and place on a plate. Shallow fry all the patties in the similar way. Aloo tikkies or potato patties are ready to serve. You can make aloo tikis and keep them in the fridge for 3-4 days and heat them before serving. You may also put the tikkis in a zip lock bag or an air tight container and freeze them for later use. Just heat and serve. I some times add some grated carrots to tikkies instead of fresh green peas. Serve hot or at room temperature with mint chutney or coconut chutney or tomato chutney or tomato ketchup. Serve with green coriander chutney or sweet tamarind chutney. Serve with onion slices and a wedge of lime. Serve as a snack or as appetizer or finger food at a party. Put it into a lunch box for office or school. Stuff aloo tikkies in a burger bun and serve along with salad and tomato ketchup.